"CELMEC VII - The Seventh International Meeting on Celestial Mechanics"
"Satellite Dynamics and Space Missions: Theory and Applications of Celestial Mechanics"
"9th Humboldt Colloquium on Celestial Mechanics"
"Second Stardust school: Astrodynamics of NEO and Space debris"
"Planetary Motions, Satellite Dynamics, and Spaceship Orbits"
"Mathematical Models and Methods for Planet Earth"
For further informations see Porquerolles web site. For further informations see Cortina web site. In honor of the 60th birthday of Giovanni Gallavotti. For further informations see pmp2002. 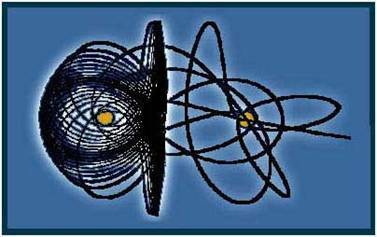 Meetings on Celestial Mechanics: Two National Meetings on Celestial Mechanics were organized at the University of L'Aquila in May 1993 (free copies of the proceedings are available) and in April 1997 (the proceedings are published in "Planetary and Space Science", vol. 46 (11-12), 1998). 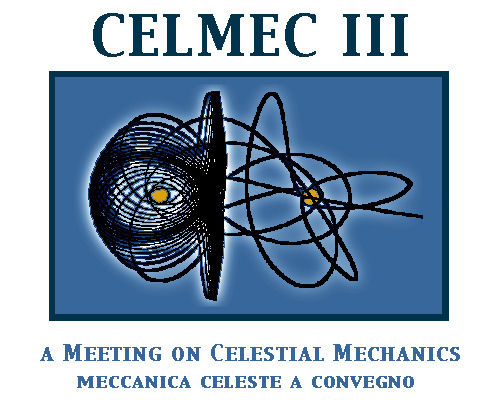 CELMEC III will take place at Villa Mondragone (Monte Porzio - Roma), 18 - 22 June 2001. For further informations see CELMECIII. Scientific and Organizing Committee: A. Celletti (Roma 2), L. Chierchia (Roma 3), C. Liverani (Roma 2), G. Mancini (Roma 3). Informations on the web are available at Roma2000 Conference.